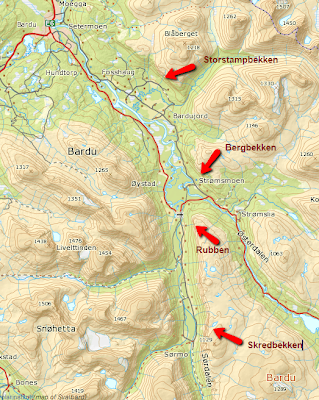 Sordalen is home to the most famous route in the area, Skredbekken (WI5/6). There is already a guide for this area which can be found here (note, we could not find the 'icecrag' at all!). The top of Rubben, the pillar looked complete, it wasn't! Here is a comparison of ice conditions against 2006.